NFL: Week Six Power Rankings | NFL News, as it happens, when it happens. Your one stop shop. Any fan in the New England region circled this this Sunday on the calendar, the second the schedule was released. The drug addict owner, the scumbag general manager, and a fan base whom is planning on flying a blimp over the stadium (which has a closed roof might I add), have to face their demons in a just a few days. Will Mr. Kraft be giving some sort of motivational speech during the pregame? I wouldn’t doubt it. 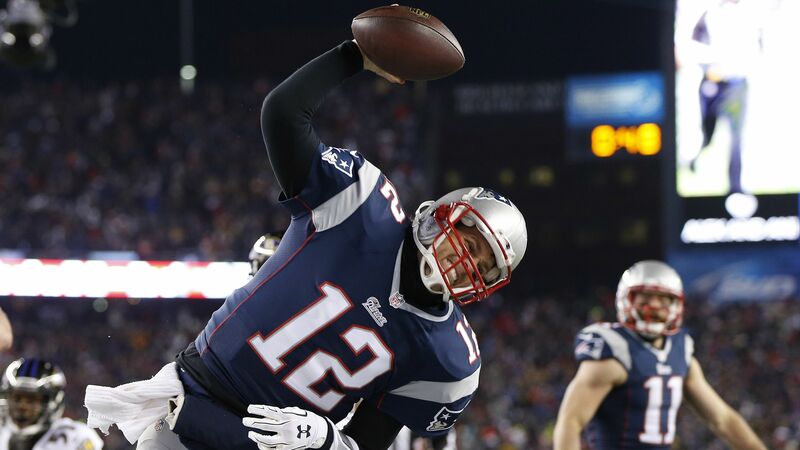 Is Brady going to be playing with the fire of a thousand suns in Lucas Oil Stadium? That isn’t even a legitimate question. Will the Patriots punch the Colts in the mouth and take their lunch money again? I sure hope so. We’ve beaten them by a million the last four times we’ve played, so history is on the Patriots side. I don’t want to get too caught up in this and start flying the homer flag too much, so I’m going right into the rankings. 1) New England Patriots – The champs are still undefeated and are about to commit murder in Indianapolis on Sunday night. 2) Green Bay Packers – The Packers defense won them a game on Sunday. The Denim King threw her first two interceptions of the season, but they came out on top. 3) Cincinnati Bengals – OK Cincy, you have my interest now. You beat a solid team at home. 4) Denver Broncos – Manning’s arm still looks dead, but the defense in Denver is very much alive. 5) Atlanta Falcons – Devonta Freeman has been an absolute monster, and picked up the slack for an ailing Julio Jones. 6) Arizona Cardinals – Arizona is getting far too much hype. They are feasting on TERRIBLE quarterbacks and offenses. However, they are still 4-1. 7) Carolina Panthers – Coming off bye week. 8) New Jersey Jets – Coming off bye week. 9) New Jersey Giants – The Giants could very well be 5-0 right now. 10) Buffalo Bills – This Bills team reminds me a lot of the 2010 team that went to the AFC Championship. However, their secondary is 100 times worse. 11) Seattle Seahawks – Seattle blew it and I’m still wondering why they can’t get the ball to Jimmy Graham. 12) Pittsburgh Steelers – Steeler fans can’t wait for Big Ben to come back. However, knowing him he may rush back too quickly and do further damage. It was a big win for the Steelers on the west coast in primetime though. 13) San Diego Chargers – San Diego lost to a team led by Mike Vick. Plain and simple. 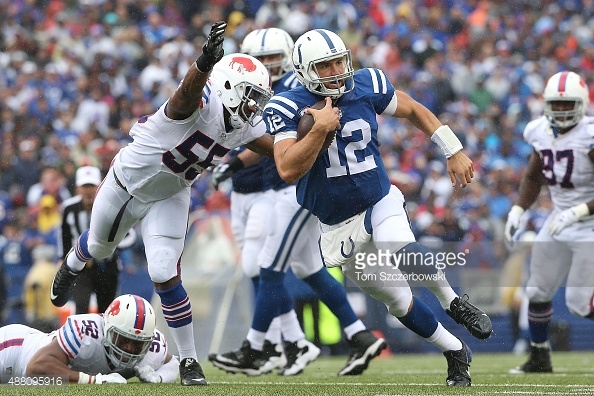 14) Indianapolis Colts – The day of reckoning is upon you Indianapolis. 15) Philadelphia Eagles – Sam Bradford better learn to protect the football in the red zone, regardless of how much Philly won by. 16) Dallas Cowboys – The Cowboys need a quarterback, and quickly. 17) Chicago Bears – I’m happy for John Fox. The guy has been to hell and back and has his team playing hard again. 18) Kansas City Chiefs – Jamaal Charles’ injury ended his season and most likely the Chiefs as well. 19) Cleveland Browns – McCown threw for a billion yards and the Browns won a game in a tough place to play. They get Denver this coming Sunday at home. 20) St. Louis Rams – Nick Foles had one of the worst games I’ve seen a quarterback play in quite some time. 21) Oakland Raiders – The Raiders continue to make Raiders type plays in crunch time. 22) Minnesota Vikings – Coming off bye week. 23) Jacksonville Jaguars – The Jaguars need to improve in the secondary before they can become somewhat relevant. 24) Baltimore Ravens – Nothing brings me more joy than seeing Baltimore 1-4. 25) New Orleans Saints – It is a short week for the Saints, but the game is in primetime and at home. Typically Drew Brees plays out of his mind in games like this. 26) Miami Dolphins – Coming off bye week. *Editors note: at least they didn’t lose, however they can’t blame losses on Philbin anymore. 27) Washington Redskins – Just like the Skins found a way to win a game last week, they found a way to lose one this week. 28) Tampa Bay Buccaneers – Winston didn’t turn the ball over for the first time in his short professional career. 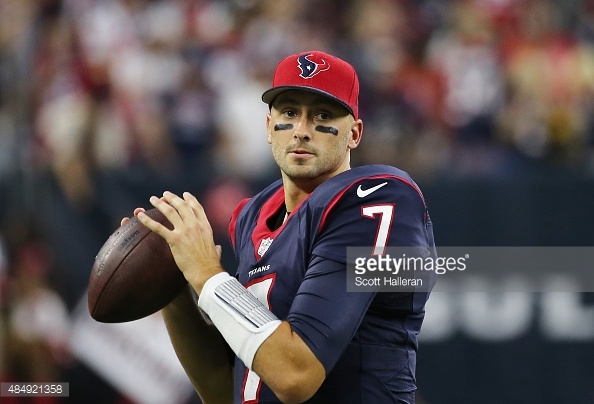 29) Houston Texans – Houston may not win another game the rest of the season. 30) Tennessee Titans – Tennessee did all in their power to let Buffalo win that game on Sunday. 31) San Francisco 49ers – Too little, too late for the Niners. They can build off of that loss, but still have a long way to go.